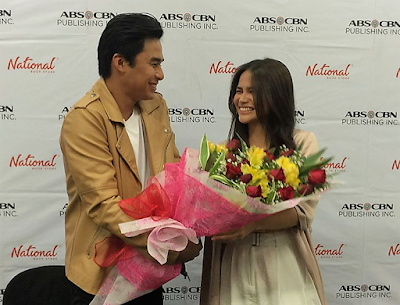 One of today’s rising tandems –Kapamilya stars McCoy de Leon and Elisse Joson-- officially launched the second book in their hit mangaserye “Vlogger Girl Problems” by ABS-CBN Publishing. 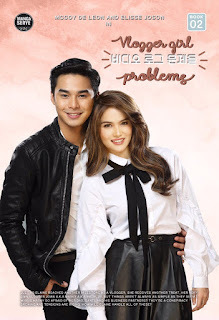 In the first book, Elisse is beauty and lifestyle vlogger Elaine rescued by Mr. Blue/ Marky (McCoy) in a holdup incident. In this follow-up story, Marky and Elaine’s friendship blossoms but is hindered as Marky seems to be afraid of Elaine’s dad, Mr. Z, and his business partners. 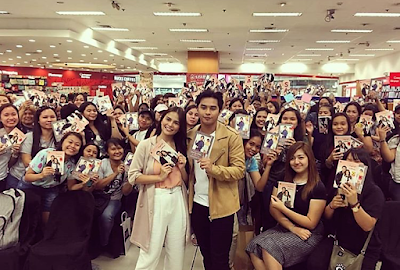 The McLisse tandem is cartooned by manga artists in “Vlogger Girl Problems,” a series of books that puts a spin on traditional ways of storytelling. Manga is a style of Japanese comics and graphic novels for readers of all ages. The book series has double cover, featuring another hit loveteam, Maymay Entrata and Edward Barber or MayWard, in the “He’s My Oppastar” story. Maymay is Macy in the book, a solid fangirl of KPop group Miniluv. This time, Macy receives tickets to a secret concert of her idol. Is she prepared to finally meet Red (Edward), her oppa superstar? While she is elated with this development, she longs for her new friend, Eddie. Why did he suddenly disappear? The book two of McLisse’s “Vlogger Girl Problems” and MayWard’s “He’s My Oppastar” is now available in National Book Store and Powerbooks outlets nationwide for only P185 each. For updates, follow @abscbnpr on Facebook, Twitter, and Instagram or visit www.abscbnpr.com.